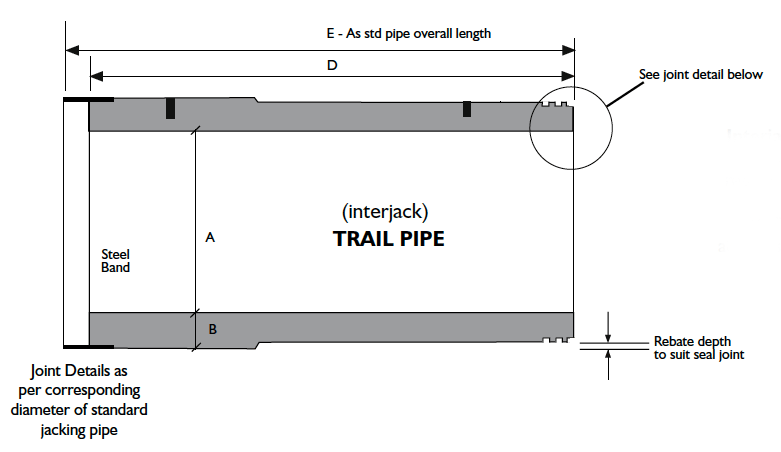 An Intermediate Jacking Station is made up of two pipes, a Lead pipe and a Trail pipe with an Interjack system between the two pipes as shown in the image above. Interjacks (hydraulic ram stystem) are commonly used on long drives were jacking forces exceed the maximum that the pipes or main jacks are capable of. Interjacks are fitted during a drive and reduce the forces on the main jacks by pushing the pipes in front of the interjacks first leaving the main jacks to only push the rear section of pipes. 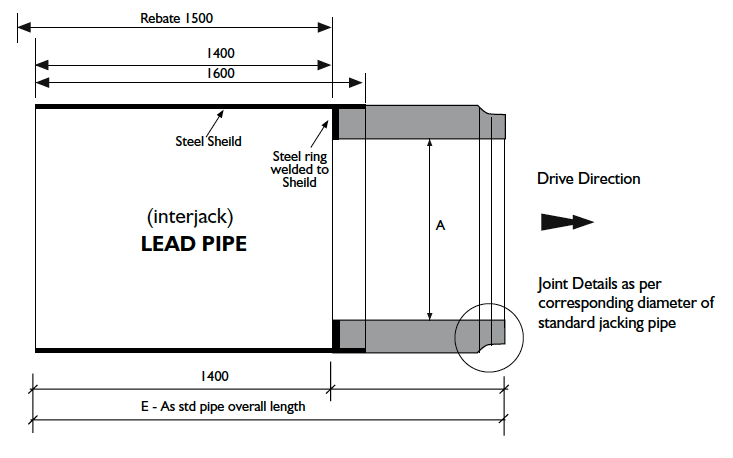 Interjack Trail pipe are as corresponding standard jacking pipe except for long rebate and double seal on different spigot.